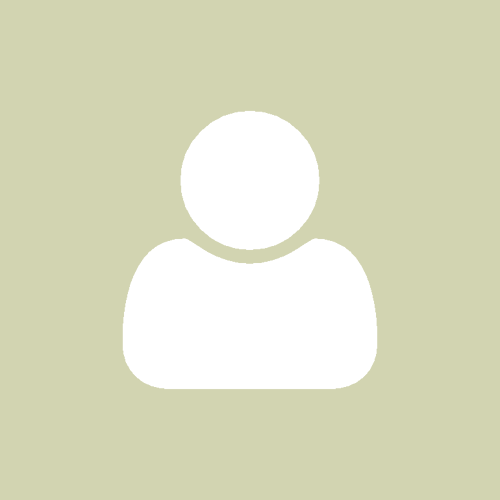 Bloomberg L.P. is a New York-based financial software, data and media company. Every year they analyze the most innovative countries in the world and produce a visually pleasing and infographic-heavy report. The countries are ranked according to six criteria: research and development expenses per capita, manufacturing capability, number of hi-tech companies, post-secondary education level, the number of research personnel per capita, and the number of patents per capita. This year, Ukraine made it onto the list of the 50 most innovative. Let’s take a closer look at the final results (you can also read the full report here). Ukraine made a giant leap from last year, moving from 49th on the list to 33rd, breezing past Hong Kong, Turkey, Iceland, and several other innovative countries. Ukraine landed at the top of the list for a few individual categories. High-quality education is essential for innovation. The good news is that Ukraine ranked 5th in the post-secondary education category. The number of patents per capita is another influential factor that shapes a country’s innovation level. Ukraine’s result is also quite high in this category: it ranks #10. Bloomberg’s Innovation Index is only one of numerous rankings which list Ukraine as one of the most innovative and talent-rich countries. 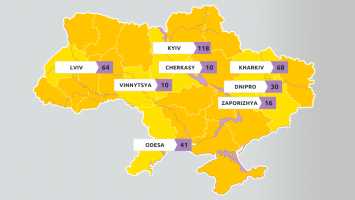 Ukraine’s two major IT hubs – Kyiv and Lviv – made an appearance in Tholons Top 100 Outsourcing Destinations 2014 - Europe, with Kyiv advancing 5 places since 2013. Elance, the world’s leading platform for online employment, has also featured Ukraine as one of Top 3 Freelancer Countries in their Global Online Employment Report. All of these fantastic results prove that Ukraine’s innovation and inventiveness are on the rise. What this actually means for the country is that the already large number of companies outsourcing to Ukraine is going to get even larger. 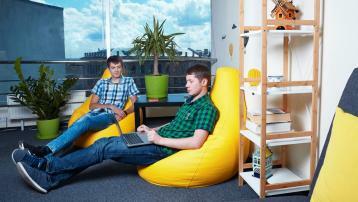 Want to set up your own software development team in Ukraine or hire a developer? We'll help!